Well, that time has now come. 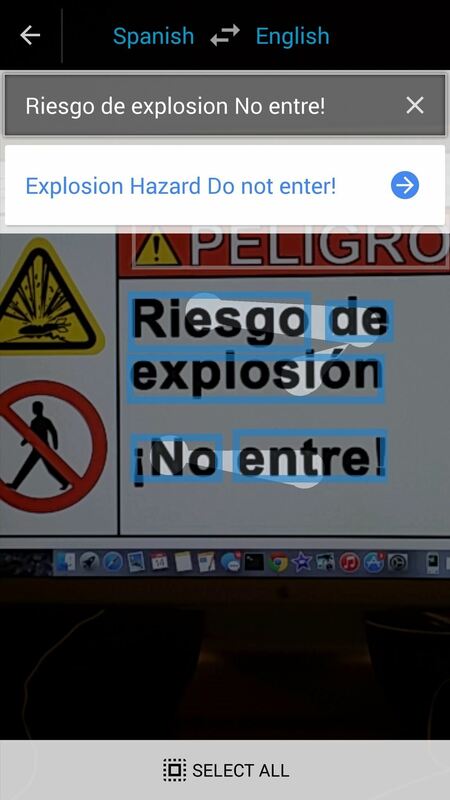 Google Translate's latest update brings Word Lens' live translations to your Android and iOS device. Check out the guide below to learn how to use live translation, as well as take advantage of the highly improved conversation mode in Google Translate. 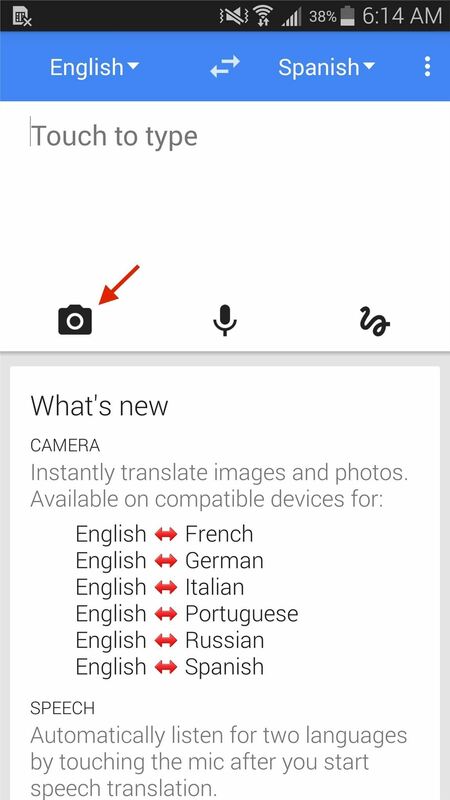 To start using live translation, all you need to do is tap on the camera icon and point your camera at what you want to be translated. Currently, live translation only works with English to Spanish, French, German, Italian, Portuguese, and Russian, and from those languages back to English. 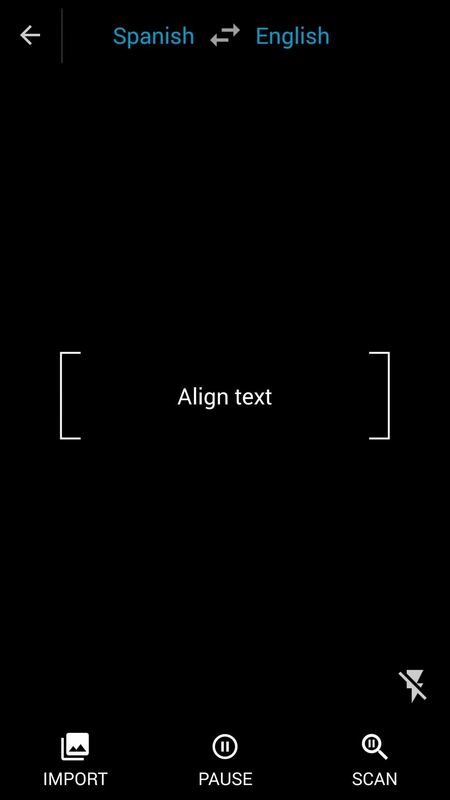 Almost instantly, whatever text is aligned on the screen should translate. 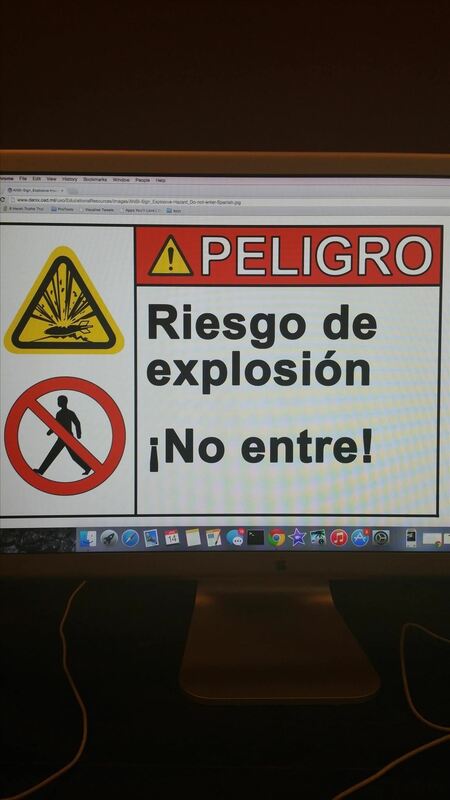 Below, you can see the real-time translation of a sign in Spanish (left) to English (right). 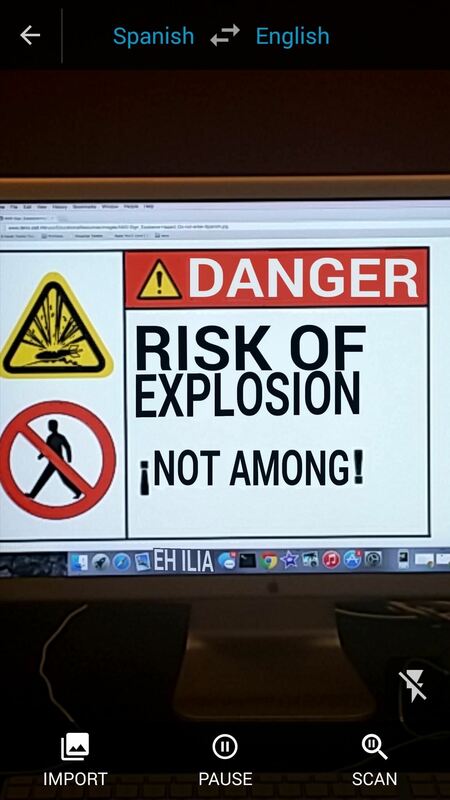 After using the the live translation feature on a few signs, I noticed that the translations weren't perfect. 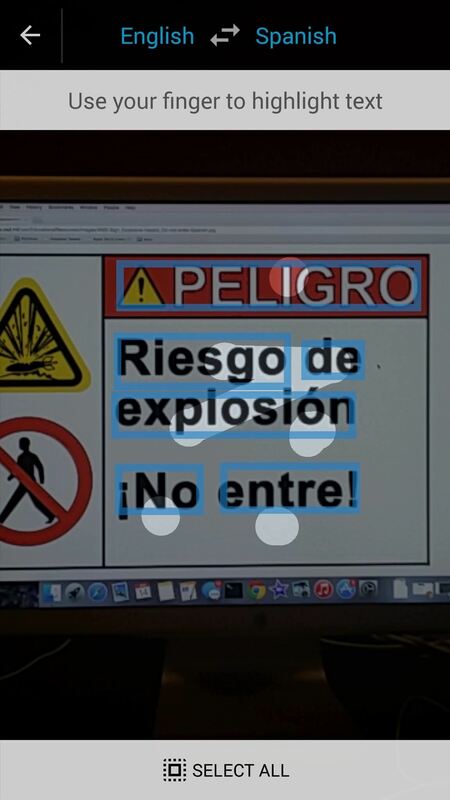 For the most part, it was able to to get the message across, but since it translates every word, it didn't always make sense since it can't translate context. When it translates Spanish, it translates the prefixes, which mostly become incorporated with the word that follows it, so the structure becomes a little muddled at times. But you can get what it says. 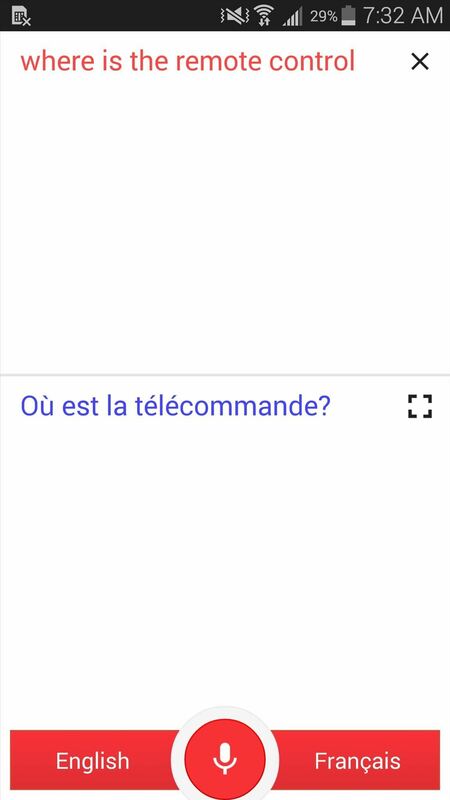 Improve the translation by tapping on the "Scan" icon at the bottom-right, which then scans for text and uses the regular translation feature to provide a more accurate translation, which you can see below. Conversation mode allows two users to take turns speaking in their language, translated instantly and spoken aloud for the other person to listen to, making conversation seamless. In the past, this feature has been painstakingly slow, but with this latest update, Conversation mode is greatly improved. First select the two languages that will be spoken and hit the microphone icon. 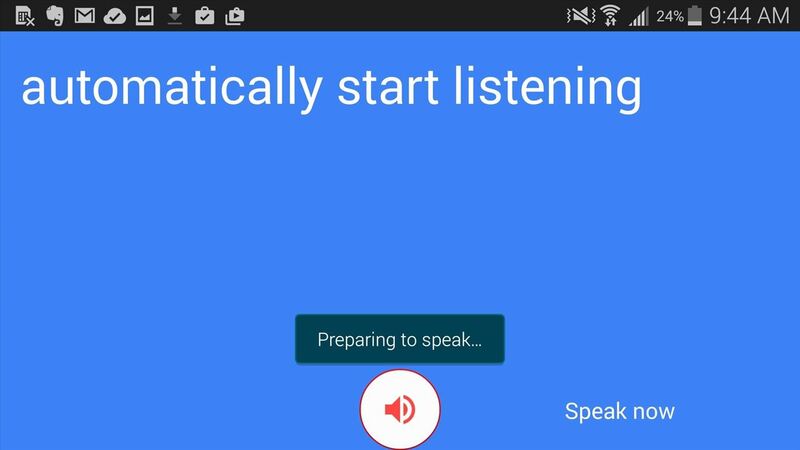 Google will then listen and figure out which language is being spoken first, then translate it to the other language and play it out loud. You can then hand off the phone to the other person and they can speak in their language, which will be translated back to the other language. To make conversation even easier, you can flip your device to landscape mode and Translate will automatically begin listening for speech, making the whole process fairly seamless. Using the feature was pretty awesome, as it translates very accurately and even recognizes colloquialisms. 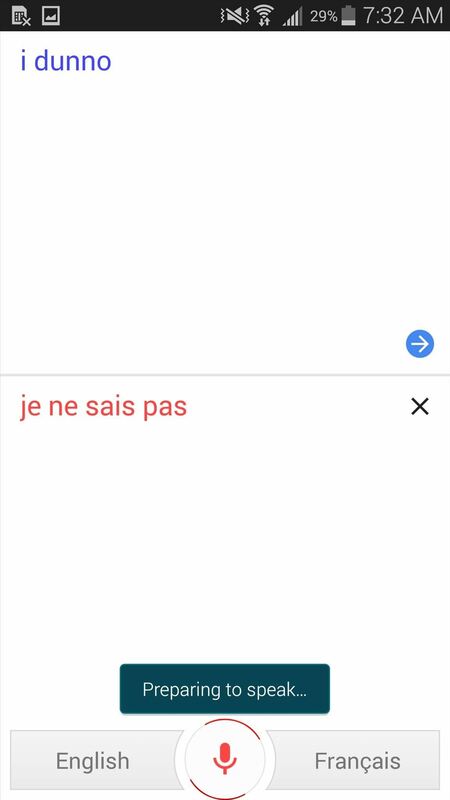 Test out out the new and improved Google Translate for yourself, and let us know what you think! Leave us a comment below, or hit us up on Facebook, Google+, or Twitter.